Montalbino is a small village which lays between soft country lines, an island where the man is still in harmony with nature: apartments, a swimming pool and small pathways in-between apartments are non in contrast with lawns, olive trees, animals and pines but all blend together without any trickery while creating and offering a genuine atmosphere to the guests stopping by for a moment or staying for a long time. Typical Tuscan hills and marvelous cities of art surround Montalbino, inviting its guests to live, day by day, the best of what Tuscany has to offer. 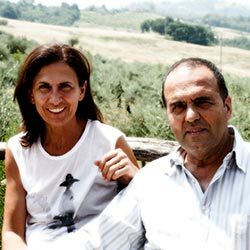 When Marco and Anna, the village owners, thought about as to how to make Montalbino a “soul place”, they did not limit themselves to think that a magnificent Tuscan container was enough to make it unique. A typical farm, 90 hectares of land that can be walked through following the marked paths, vines and olive trees, 2 swimming pools, private gardens, barbeques, a village shop, organised activities for guests and, above all, a magnificent restaurant do ensure that, when you are in Montalbino you don't need to take on living Tuscany because this is a Tuscan corner to live for the people on holiday here. Authentic Tuscany! — A gift for you: an authentic Wine tasting!